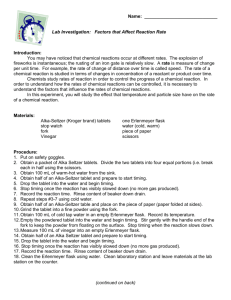 amounts of substances involved in a chemical reaction. students observe the effect of the limiting reactant. household materials that are inexpensive and readily available. It poses no health hazard and produces no hazardous waste. articles of this Journal (e.g., 10–13). acetylsalicylic) contained in the tablet (eq 1). the atmosphere results in a weight loss after the reaction. tablet by carrying out this simple acid–base reaction. more NaHCO3 reacts, increasing the production of CO2. CO2 will be generated with increasing amounts of vinegar. versus the volume of vinegar used in the reaction solution. the volume of vinegar used is constructed. hazards from the spattering of the reaction mixture. of cup with all substances (after reaction). by mass of the reacted NaHCO3 in the tablet. 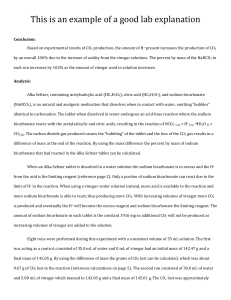 analysis of the sodium bicarbonate in Alka Seltzer tablets (10). 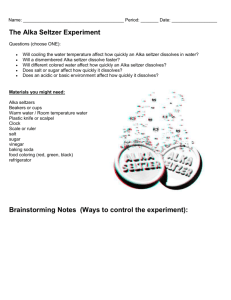 be studied in another experiment. I never thought chemistry could be so close to my life. I like the chemistry lab done in this way. This is the first time I don’t hate chemistry lab so much. 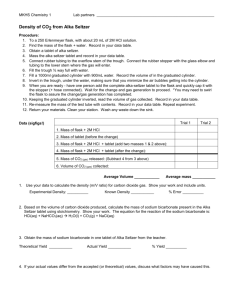 laboratory assessment item for stoichiometry. 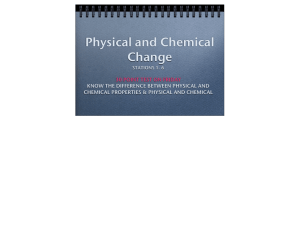 Chemistry, 5th ed. ; Wiley: New York, 2000; p 131. 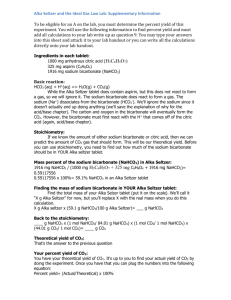 Chemistry, 6th ed. ; Wiley: New York, 2000; p 211. 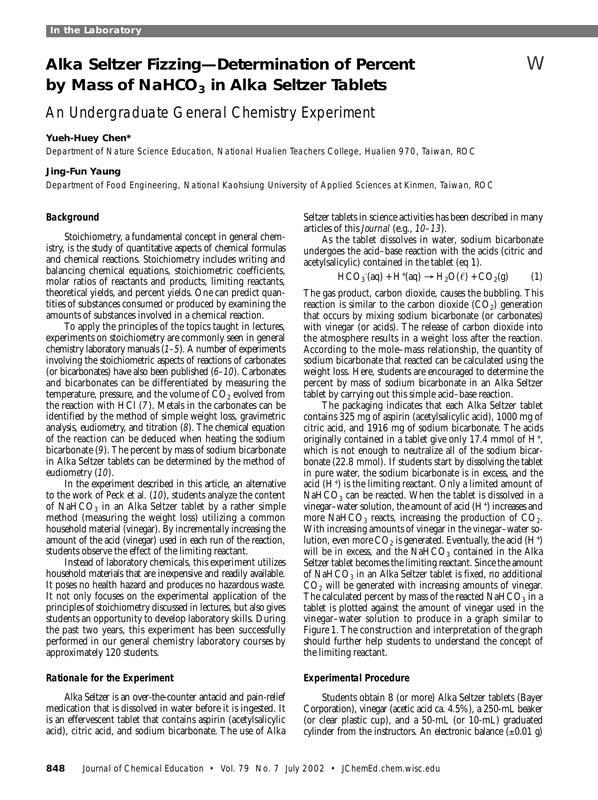 Rinehart, and Winston: New York, 1990; p 75.
of Chemistry; Holt, Rinehart, and Winston: New York 1973; p 69. 6. Editorial Staff. J. Chem. Educ. 1997, 74, 1328A–1328B. 7. Roser, C. E.; McCluskey, C. L. J. Chem. Educ. 1999, 76, 638. 8. Dudek, E. J. Chem. Educ. 1991, 68, 948. 10. Peck, L.; Irgolic, K.; O’Connor, R. J. Chem. Educ. 1980, 57, 517. 11. 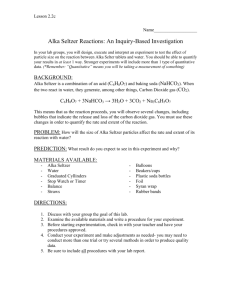 Sarquis, A. M.; Woodward, L. M. J. Chem. Educ. 1999, 76, 385. 12. 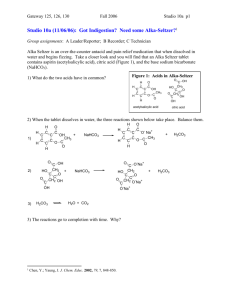 Huseth, A. J. Chem. Educ. 1998, 75, 528A–528B. 13. Editorial Staff. J. Chem. Educ. 1998, 75, 1120A–1120B.